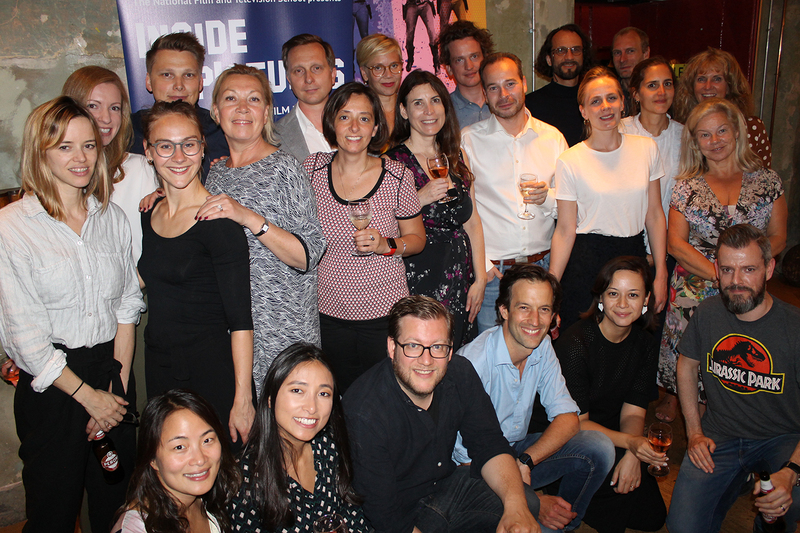 Inside Pictures’ 15th year kicked off Monday at Lee & Thompson in Central London, beginning a 9-month journey for 20 participants from across Europe, Australia, Canada and the United States. The programme offers exclusive access to a wide range of high-powered film and television executives through a series of workshops in London and Los Angeles. Inside Pictures 2018: (back) Paula Heffernan, Rajko Jazbec, Jørgen Storm Rosenberg, Kristine Knudsen, Oli Harbottle, Kęstutis Drazdauskas, Gijs Kerbosch, (center) Marina Brackenbury, Janey van Ierland, Director of Content Julia Short, Carla Quarto di Palo, Paula Devonshire, Jonathan Halperyn, Charlotte Mardon-Heath, Alison Meese, Inside Pictures 2018 Ambassador Alison Owen, Inside Pictures Executive Producer Jill Tandy, (front) Eun-Zi Kim, Yvette Zhuang, Sol Bondy, Justin Kelly, Jo Allan and John Keville. Launched in 2002, Inside Pictures offers participants an opportunity to meet with and learn from many of the world’s most prestigious industry executives. Coming from a wide range of disciplines, they learn also from each other as they share skills and collaborate across the course of four intensive workshops. Beyond the programme content, the participants benefit from a network of alumni, speakers, sponsors, funders and partners from the UK and international film community. Additionally, the participants will work in pairs to develop and present 10 projects to an industry panel in January 2019. At our Welcome Dinner, Inside Pictures Director of Content, Julia Short, introduced our Ambassador for 2018, Alison Owen. One of the UK’s leading film and television producers, Alison earned an Academy Award nomination and a BAFTA Award (Best Film) for Shekhar Kapur’s historical drama, “Elizabeth”, and launched production outfit Monumental Pictures in 2014 with co-producer Debra Hayward. Alison welcomed this year’s cohort and congratulated them on joining the film industry’s “most vip network”, highlighting the advantages of such close industry relationships, allowing them to pick up the phone and have the benefit of each other’s expertise as they move forward in their careers. She also expressed her own delight at being invited to represent the programme this year. Module 1 continues through the week at Lee & Thompson with workshops providing insight into film finance, international and domestic sales, co-production, distribution, exhibition and television. Module 2 will take place in Los Angeles in September ahead of Module 3 in November back in London, with the course concluding in January 2019 with the participants’ project presentations. These projects are developed over the course of the entire programme and are supported by an industry mentoring scheme through the Inside Pictures alumni group of over 250 professionals.